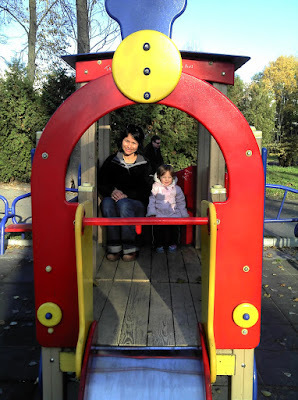 When we were in Ukraine recently we took the kids to a playground in Ternopil. 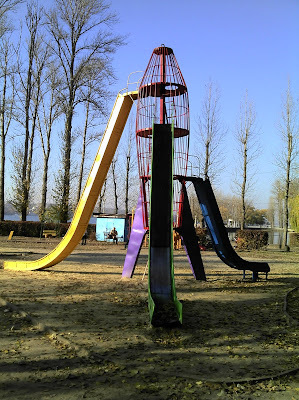 I had read before about the elaborate, and sometimes strange, playgrounds in the former Soviet Union - such as the one in this picture below, so I was interested in checking one out. We were not disappointed. 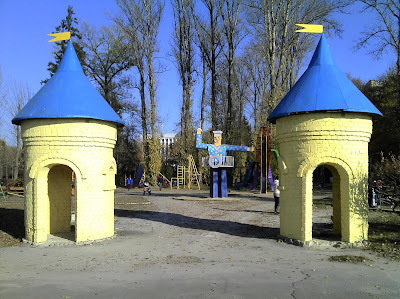 The playground we went to was both elaborate and strange. A perfect mixture of both elements which I had hoped to find. 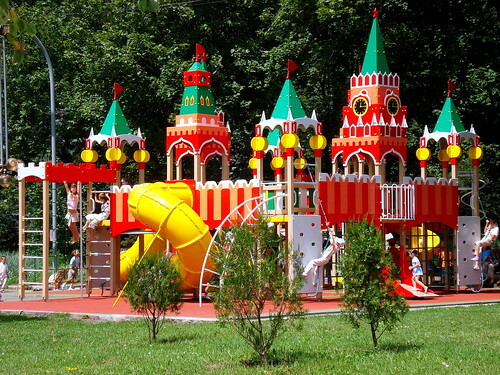 Ukrainian playgound, you did not disappoint us!